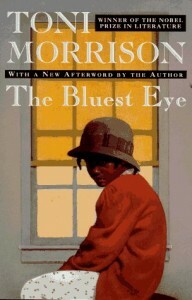 In a victory for the freedom to read, the school board in Northville, Michigan voted unanimously last night to keep Toni Morrison’s The Bluest Eye in the curriculum for AP English Literature and Composition. To accommodate parents who had expressed concerns about the book, the board also said students may choose an alternate reading assignment instead. The Bluest Eye has been taught in Northville High School’s college-level AP course since the early 1990s, but has likely drawn renewed attention due to a backlash that began a few years ago when it was listed among exemplar texts to meet the Common Core State Standards. Common Core opponents shared out-of-context excerpts from the book online, and it became the second most frequently challenged book of 2013. In Northville, though, the book’s presence in the AP curriculum had gone unremarked for nearly two decades before Common Core existed. That changed abruptly last week, when parents packed a school board meeting where a complaint filed against The Bluest Eye was under consideration. Among the objections were the risk that the book might inspire “deviant behavior” and contains “negative references…against the Christian faith.” The school district’s challenge policy normally has four levels of review, but because students are scheduled to read the book this month a decision was made to skip directly to the third level, a district-wide review committee made up of teachers, administrators, and a parent. In advance of the meeting yesterday, CBLDF and other partners in the National Coalition Against Censorship’s Kids’ Right to Read Project sent the board a letter urging members to base their decision on “sound educational grounds” rather than public objections to the book’s content. Big thanks to the board for trusting the judgment of near-adult students and the teacher who has successfully taught The Bluest Eye for so many years!